Assured Information Security (AIS) in Rome, New York, has been awarded a $48.4 million contract for full spectrum cyber capabilities. The objective of this effort is to provide the U.S. Air Force with tools and technologies to aid in cyber warfare. This contract provides for research, development and transition of cyber technologies to enable rapid cyber operations and will result in the accelerated delivery of innovative cyber solutions to the warfighter. This award is the result of a competitive acquisition and two offers were received. Work will be completed by AIS through March, 2024. Air Force Research Laboratory (AFRL), also in Rome, is the contracting authority for the award. 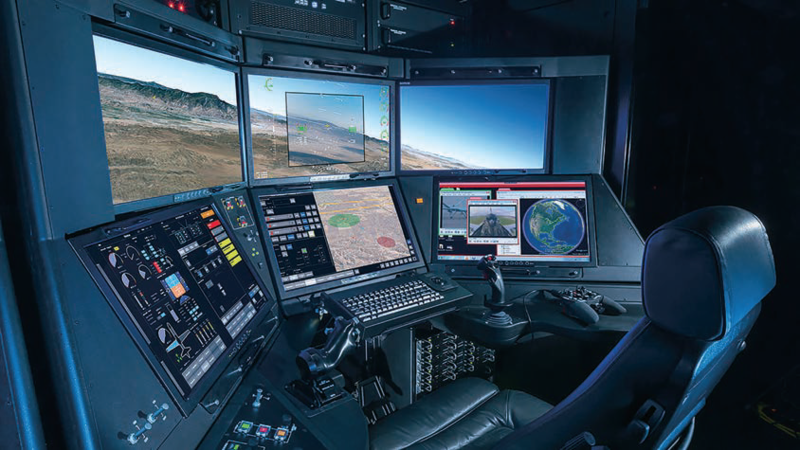 Kratos Defense & Security Solutions, Inc.(NASDAQ:KTOS), has recently received approximately $7.7 million in Command, Control, Communication, Computing, Combat and Intelligence Surveillance and Reconnaissance (C5ISR) system program awards. Kratos is a leading provider of systems, products and solutions that support the U.S. Department of Defense (DoD), its allies and other customers’ C5ISR programs and platforms. Work under these contract awards will be performed in secure Kratos manufacturing facilities. Due to competitive, customer related and other considerations, no additional information will be provided related to these recent contract awards. In 2017, the Space Foundation announced a new annual scholarship honoring its former board chairman — the Admiral James O. Ellis, Jr., New Generation National Security Scholarship was created to provide a young professional member of the United States Armed Forces full participation in the Space Foundation’s annual Space Symposium and benefit from its mentoring, networking and professional development opportunities. For 2019, (S)Sgt. Patrick Harper, USAF, is the recipient of this prestigious scholarship. He will receive full registration for the 35th Space Symposium, to be held April 8-11, 2019, at The Broadmoor in Colorado Springs, Colorado. In addition to the main program, he will participate in the Symposium’s New Generation Space Leaders program, the Symposium’s Space Classified program and will be seated at the Space Foundation Board of Directors table at dining functions during the Symposium. (S)Sgt. Harper was nominated by his leadership at Fort Gordon, Georgia. He is fluent in Arabic and was recently selected for a promotion, taking over the responsibility of 24/7 mission coverage and providing critical information to Combatant Commanders. Harper is pursuing his undergraduate degree in planetary geology, he volunteers with the local Astronomy Club of Augusta and is an active member of the international Space Generation Advisory Council for young professionals. VORAGO Technologies’ can handle the heat — even with the extreme heat that is generated in space, such as radiation and intense temperatures that affect systems. Because of this capability, the company has been awarded an AFWERX Small Business Innovation Research (SBIR) Phase II grant from the U.S. Department of Defense and the U.S. Air Force. 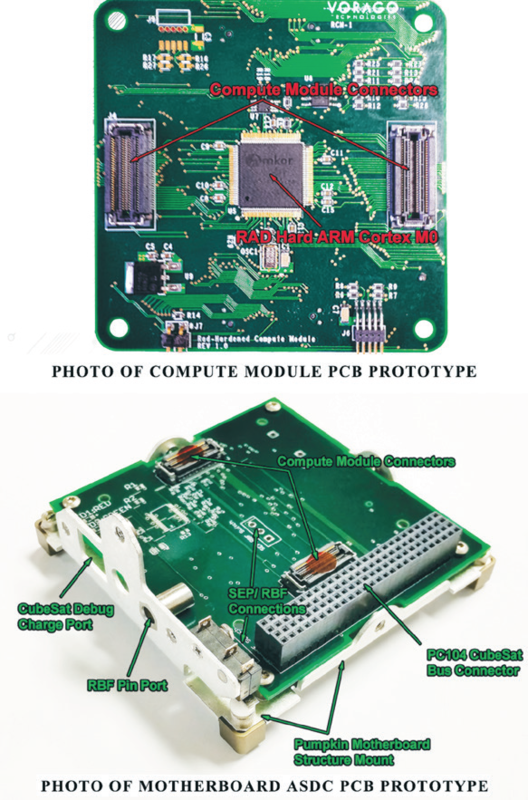 The project that is now underway uses VORAGO’s disruptive radiation-hardening technology and is an extension of the successful phase I effort to provide a state-of-the-art, rad-hard microcontroller that is qualified to meet U.S. Air Force requirements. The new microcontroller is supported by a broad range of development tools to simplify code development and optimize code reuse. This architecture can be used for many years by the U.S. Air Force in various platforms with significant software reuse, which shortens development time and reduces development costs. Bernd Lienhard, CEO of VORAGO Technologies, said that the company is delighted that the U.S. Air Force recognizes and supports VORAGO’s unique capability in developing innovative technology for high-reliability applications. According to Lienhard, VORAGO’s HARDSIL® technology and their ability to optimize size, weight and power consumption will allow the U.S. Air Force to develop optimized and robust next-generation electronics systems. Making important decisions on any level can achieve best results with more information rather than less. And with that concept ,imagine the amount of information required for determining what is best for U.S. defense and space interests and dealing with developing new space systems. 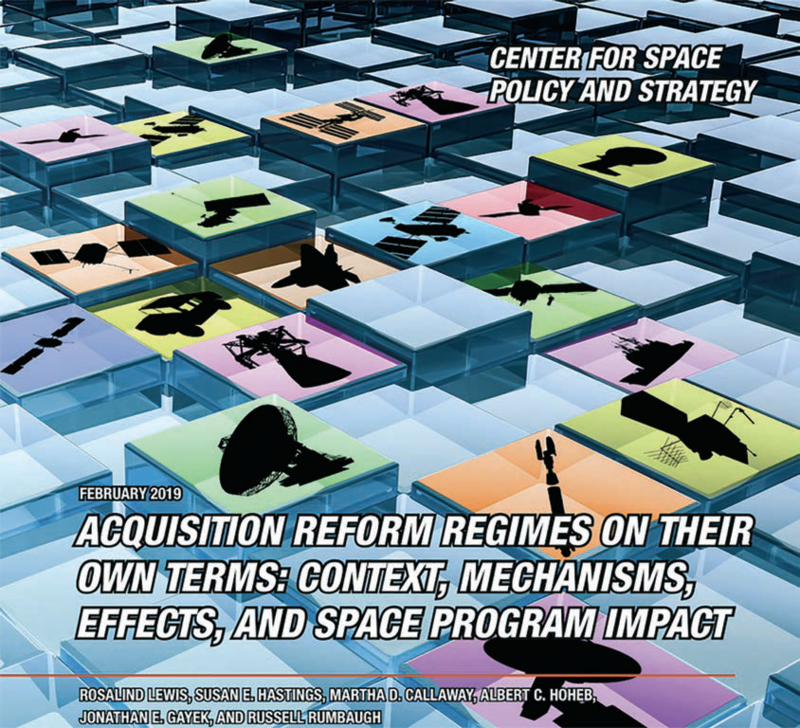 A report — Acquisition Reform Regimes on Their Own Terms: Context, Mechanisms, Effects, and Space Program Impact — is now available from The Aerospace Corporation’s Center for Space Policy and Strategy (CSPS) to assist decision makers urgently developing new space systems’ acquisition plans to help protect U.S. interests. This insight provides decades of defense and space acquisition reforms and best practices. Rosalind Lewis, principal director of Aerospace’s Acquisition Analysis and Planning Subdivision and co-author of the CSPS report, stated that understanding why changes were made in previous defense and space acquisition programs is key to guiding new discussions to field rapid capability and flexibility for acquiring new space systems. Significant recent developments affecting space acquisition include a call in the Fiscal Year 2018 National Defense Authorization Act (NDAA) to identify a “sole authority” for organizing, training and equipping future space operations. President Trump called for the establishment of a new military branch, the Space Force. The FY19 NDAA asked the Department of Defense (DoD) for a report on how to acquire space systems. This led to a DoD proposal for a new Space Development Agency to ensure that a Space Force would have the personnel, assets and capabilities to support our nation’s military interests in space. Finally, on December 18 of last year, President Trump ordered the creation of the U.S. Space Command to employ space capabilities and lead space operations. Jamie Morin, VP and executive director of CSPS, stated that, this year, the company witnessed numerous government mandates to treat space programs uniquely and with more resources. Aerospace hopes that this report provides a solid understanding of why acquisition changes need to be made to achieve the critical goal of accelerating our space capabilities. The CSPS report analyzes the effects of past acquisition reform initiatives that were implemented during six acquisition regimes. Every regime reflected various legislative and regulatory changes, as well as structural changes and initiatives attempted during its time. Each succeeded on their own terms by improving systems and outcomes without having sole responsibility for any specific programs. Comtech Telecommunications Corp. (Nasdaq: CMTL) — during the firm’s Q2 of fiscal 2019 — has revealed that the firm’s Tempe, Arizona-based subsidiary, Comtech EF Data Corp., which is part of Comtech’s Commercial Solutions segment, received a delivery order in support of the recently awarded contract from the U.S. Naval Warfare Systems Command (SPAWAR). This latest delivery order, against the $59.0 million indefinite delivery/indefinite quantity (“IDIQ”) contract, is for $1.8 million. The delivery order specified Comtech EF Data’s SLM-5650B Satellite Modems and firmware upgrades. The SLM-5650B Satellite Modem is Comtech EF Data’s latest generation modem product targeted for critical government and military applications. The SLM-5650B leverages the heritage and feature set of the SLM-5650A modem. The SLM-5650B supports backwards compatibility/interoperability for existing SLM-5650A networks, while providing enhanced performance and an expanded feature set. 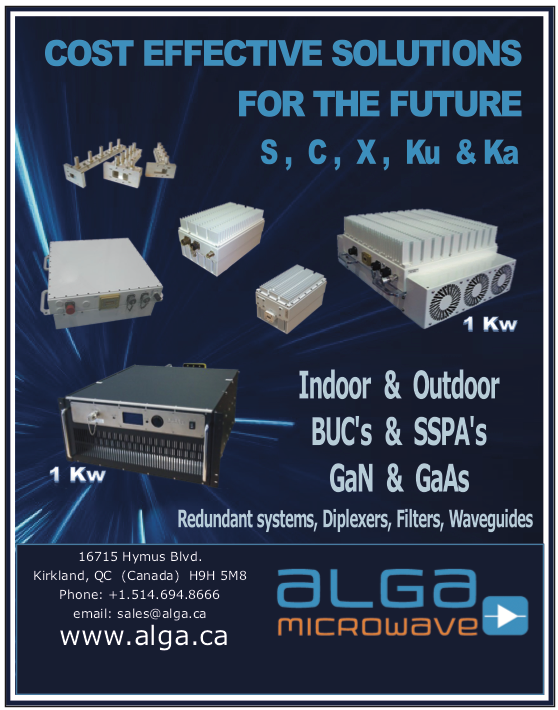 The commercially available modems will support satellite communications and interoperability across the U.S. Navy’s platforms and shore sites. 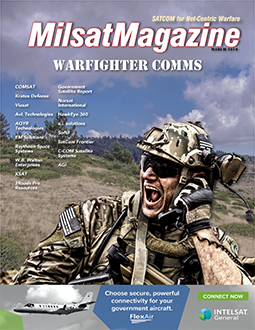 “It is a privilege to have the opportunity to support the U.S. Navy’s satellite communications requirements with our latest generation solutions,” said Fred Kornberg, President and Chief Executive Officer of Comtech Telecommunications Corp. The U.S. Air Force’s new Block 50 Ground Control Station (GCS) — developed by General Atomics Aeronautical Systems, Inc. (GA-ASI) — for the first time controlled an MQ-9 Reaper on January 8 from the GA-ASI Gray Butte Flight Operations Facility near Palmdale, California. It integrates multi-level security feeds with onboard sensors to display a comprehensive picture of the battlespace and incorporates improved information assurance capabilities that protect against cybersecurity risks.